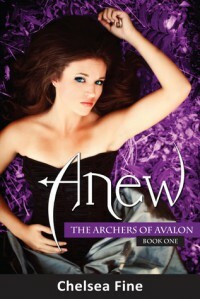 In light of the 3rd book of this series, Avow, coming out next mouth and the cover reveal for the book next week(! ), I just had to reread the whole series and review it. I just had to. It’s just that good of a series.Waking up in the cold, dark forest alone with no memories other than a name and age can be frightening, to say the least. This is exactly what happened two years ago to Scarlet Jacobs. Skip to the present, where Scarlet lives with a wonderful guardian named Laura and has a perky best friend named Heather. But she has still not regained her memory. When she it at the annual Kissing Festival, she sees a mysterious boy who stirs memories in her heart, and she meets another boy who has a familiar voice. Gabriel, the boy with the familiar voice, is stunning and has a disarming smile. She dates Gabriel, but then realizes he has been keeping secrets from her, like a SMOKING HOT twin brother named Tristan, the boy who makes Scarlet want to remember things. She finds out that Gabriel, Tristan, and her are a part of a 500-year-old curse, which she must break. She must search for the Fountain of Youth. If she cannot break the curse, it will have deadly consequences.Scarlet is such a strong heroine! She hates being told no, and will fight for what she believes in. Depsite having amnesia, she does not let that stop her from finding clues to break the curse. She may be a simple dresser, but her best friend, Heather, is her self-proclaimed fashion expert. I loved Heather! She never let Scarlet mourn her memory loss, and is fiercely protective of her. She is the epitome of an awesome best friend. Laura, her guardian, is super nice, but there is something strange about her.Now the guys. Gabriel is really sweet and blew my heart away. At. The. Beginning. Before Tristan came into the picture. Gabriel loves Scarlet because of the curse. Tristan’s love for Scarlet is all-consuming. Tristan will do anything, absolutely anything to save Scarlet. even if it means he has to distance himself away from her. It is so romantic and heart-breaking. He is dark and brooding because of the curse, and I love dark and brooding guys. He is most definitely at the top of my list of book boyfriends. I honestly cannot say anything bad about Tristan. He is beyond amazing.The plot, searching for the Fountain of Youth to break the curse, is so interesting, and I love it. I haven’t read anything like it before. The writing is beautiful. I love how we get POV’s from Scarlet, Gabriel, and Tristan. I love getting inside Tristan’s head. We find out why he is so darn dark and brooding. It breaks my heart. Sigh. The romance, my absolute favorite part of the book, is the only time a love triangle is okay. Tristan makes it okay, even better than okay. There is no competition. At all.Since this book ends with a cliffhanger, I was beyond happy to realize the sequel, Awry, was already out! Look for my review of the 2nd book sometime next week. Now I am patiently waiting for December 11th, when the third and final (L) book comes out. This is one of my favorite series, which is really saying something. Go read and get caught up for the final book! See my Waiting on Wednesday for Avow to see how excited I am for the final book!Favorite Swoon-worthy Quote: Because she needed him. She didn’t remember him, but she knew she couldn’t live without him. His lips barely brushed against hers as his warm hand came up behind her neck to cradle her head. She parted her lips and inhaled, trying to absorb as much as he’d let her. He smelled like leather and water and all things wonderful as he pressed his lips to hers.Rating: 5/5 Tar Heels! 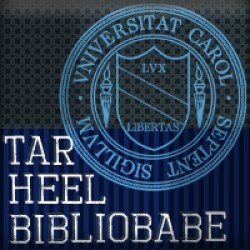 See more reviews at www.tarheelbibliobabe.blogspot.com!